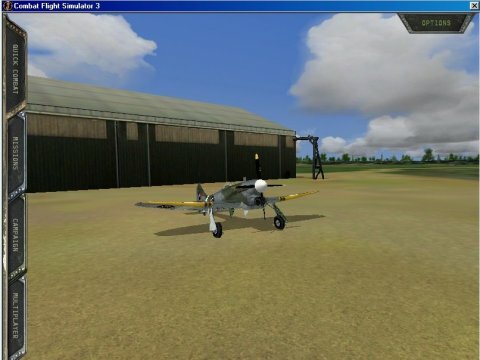 Combat Flight Simulator 3 is completely different from previous versions of CFS and ANY version of FS so the wide possibilities for expansion simply do not exist. It is limited to a small geographic area and provides no simple facilities for adding custom sceneries even within this limited area. This means that there will not be the huge range of freeware addons we have become used to with CFS2 and CFS1. There will be new Aircraft and missions but very little else. In the meantime I am posting bits and pieces here under the links above. Don`t expect too much!